Reduce Costs. Save Time. Be More Profitable. Maid services have a lot of information to keep track of, especially when it comes to individual customers' needs. Reduce Costs. Save Time. Be More Profitable. Maid services have a lot of information to keep track of, especially when it comes to individual customers' needs. Overwhelming paperwork mixed with an unorganized office can really bring down customer's reliability in a company. 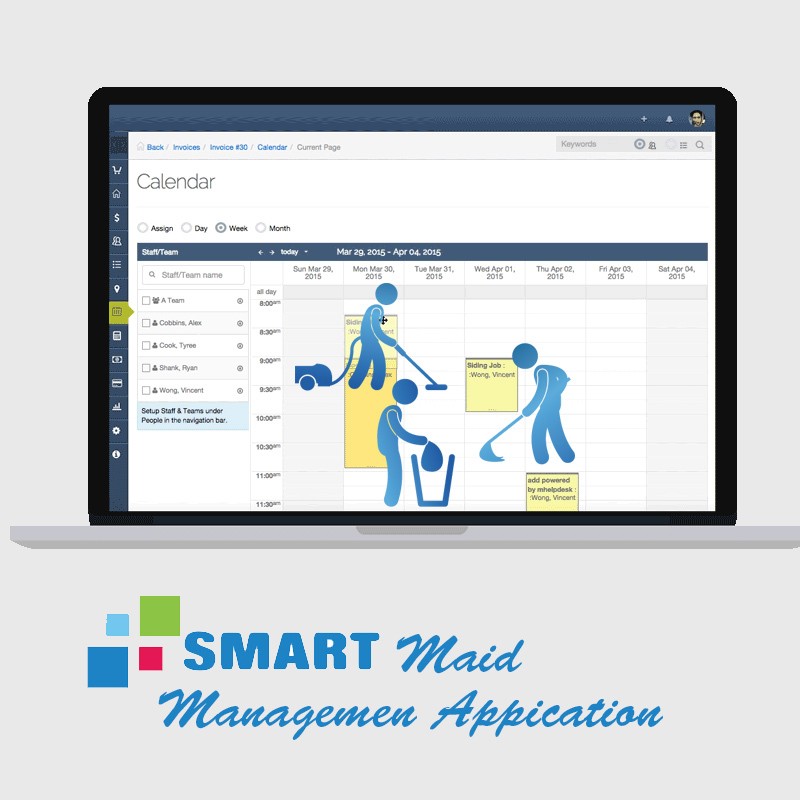 Our maid service software can increase effectiveness and customer satisfaction, while reducing costs to the company. Reduce Travel Time. Be More Responsive. Our scheduling feature allows you to route your employees easily. Cleaner, more direct routes between jobs allows your company to get that extra job. nvoice made Easy. Our maid service software can also set up contract billing - invoices that are created automatically each month - and it's 100% paperless. Our building Accounting interfaces, make invoicing happen regularly and quickly. No more double entry, no more mistakes that go uncorrected due to paperwork. Take the emotion out of invoicing, and get it done with less stress.